Installation View documents the eponymous exhibition curated by the McCoys, which appeared simultaneously at 601Artspace, New York City, and Collectorspace, Istanbul from September 2011 to January 2012. 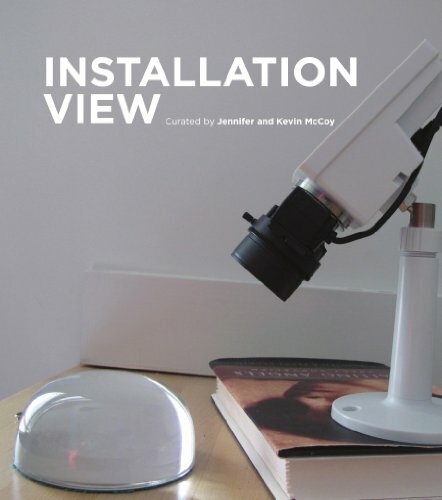 Based on the McCoys' long-standing engagement with film and video, Installation View was an intervention into 601's affiliated collection via live public broadcast, revealing works of contemporary art in-situ: in private spaces such as a home, storage space, and garden. Playing off Louise Lawler's ongoing practice of capturing art behind the scenes, the McCoys projected images from a network of live-feed cameras in order to observe the natural habitats of art. The objects in the exhibition included works by William Eggleston, Fischli &amp; Weiss, Susan Hamburger, Louise Lawler, Abelardo Morell, Gabriel Orozco, Richard Serra, Steven Shore, Thomas Struth, Hiroshi Sugimoto, and Jeff Wall.